In Chibok, a tiny town in northeastern Nigeria, a group of terrorists abducted two hundred thirty-four girls from their school. Forty-three of them were able to escape, but one hundred ninety-one of them are still missing. From Wednesday, May 14th, to Friday, May 30th, Amnesty International Club ran a book drive, going from classroom to classroom collecting donations in support of the Nigerian kidnappings. They plan to donate all of their profits to the Malala Fund, which is an organization founded by Malala Yousafzai. She hopes to help adolescent girls in developing countries gain back their rights. 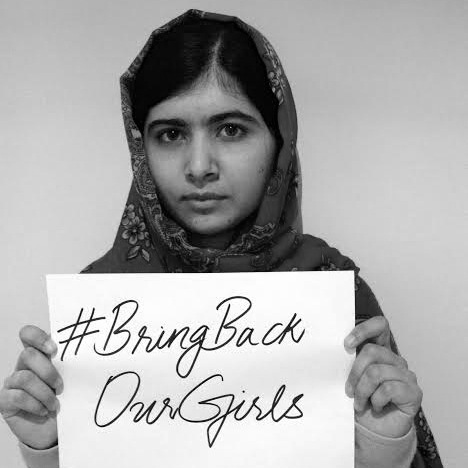 Malala Yousafzai calling on international community to take urgent action to help bring back the kidnapped Nigerian school girls. Amnesty International Club has placed a box in the main lobby for anyone who wants to donate books that will be donated to a local organization. The club has taken a different approach to encourage students to donate. They have asked all the teachers to give students extra credit if they donate money or books. The club believes that if students receive extra credit for donating the drive will earn the needed amount and support. Also, this drive will hopefully encourage students to become more involved in the community and global issues. The club meets Thursdays at 2:30 in room 255. Previous Previous post: OPINION: Should Seniors Have a Last Lap?